This brightly-coloured barrier chain (black/yellow) serves to mark the edge of a fall danger zone. 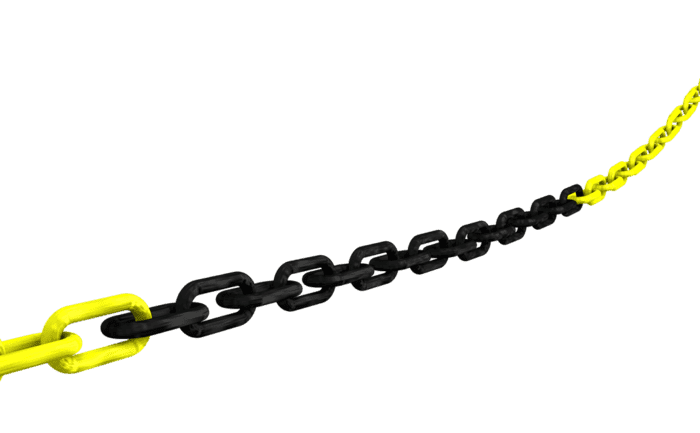 The chain (8 mm) is made of weather-resistant synthetic material. The stainless steel posts are weighed down using special UV-resistant plastic weights. 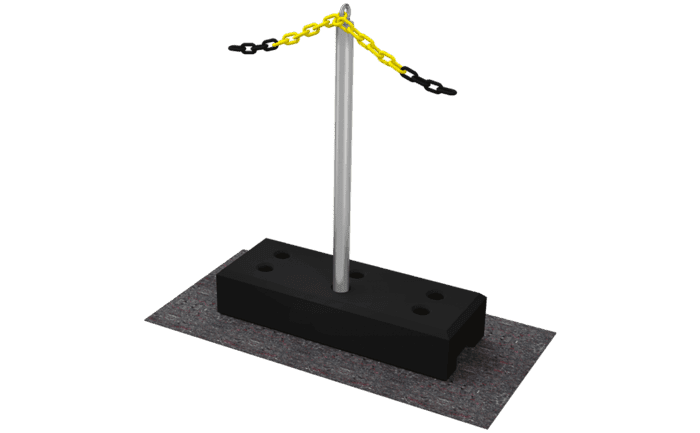 Our ABS Bordermark barrier chain system is used to cordon off and mark the position of a dangerous edge on a roof surface or similar where there is a considerable danger of falling off or through. 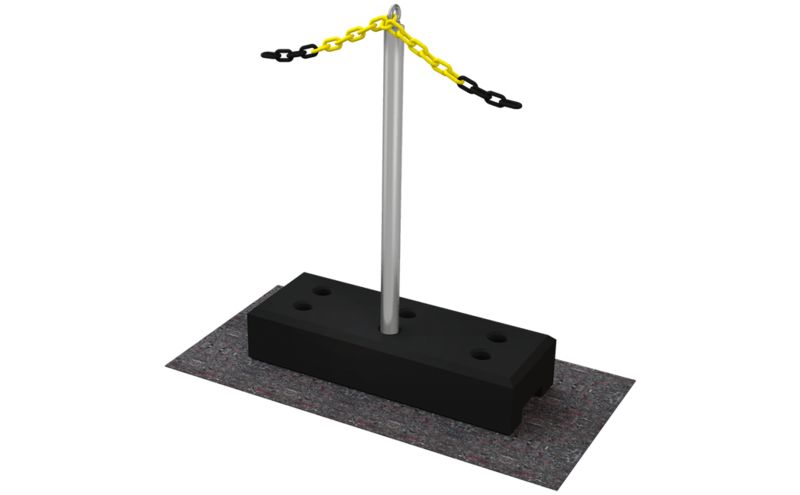 This barrier system consists of stainless steel posts which are weighted down using synthetic weights and a weather-resistant barrier chain made of 8 mm synthetic links. 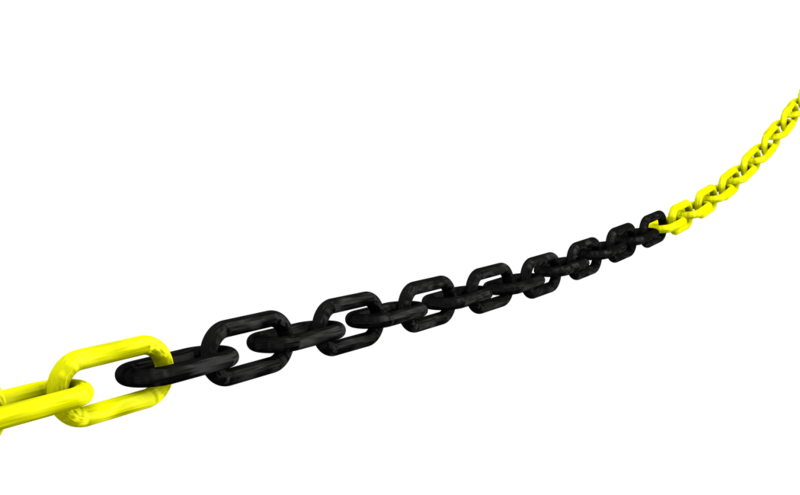 Thanks to its bright colours (black/yellow), the chain is really easy to see. The ABS BorderMark weights are manufactured from special UV-resistant plastic material. Practical recesses make these weights easy to carry. Protective mats underneath the weights also protect your roof membrane. This ABS product is rounded off by a carabiner which can be used to open and close the system and a warning plate.